When I look for coffee shops, all I want is somewhere to sit forever. This characteristic -- sit-ability? -- encompasses everything. To sit in a coffee shop all day, it has to have wonderful coffee, obviously, good food, a comfortable and cozy ambience, probably some plugs, wifi, and room to sit (even on busy weekend mornings). For me, a big part of the coffee shop experience has always been how you feel when you go there, and whether you want to stay. Good coffee shops have inspired me to write more, to read more, and to sit around aimlessly with friends. 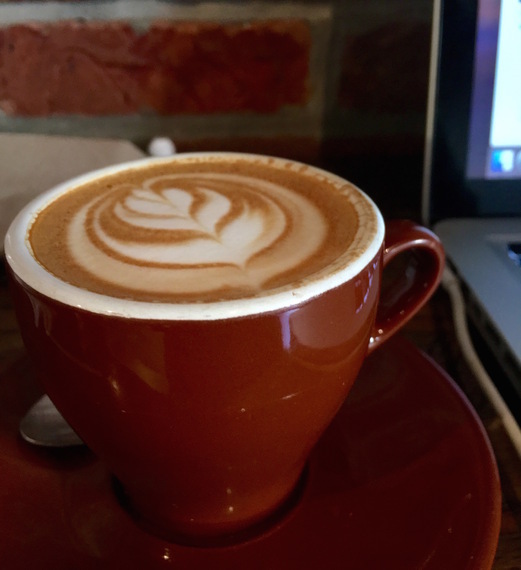 So, after three years of trials and tribulation, of grueling research, of disappointments and triumphs, I present to you, ladies and gentlemen, my expertly compiled list of the best D.C. coffee shops. Rest assured that I've spent at least two full days in each of these locations. For research purposes, of course. Fun fact: I once got into a full-blown argument with someone who dismissed Philz as "just a chain." Excuse me, who do you think you are? Philz is a heavenly oasis of caffeinated magic, and you, sir, are not worthy. The coffee here is mind-blowingly good. There's no espresso, so don't go there for espresso-based drinks. But there are dozens of pour-over coffee variations with subtle hints of things like hazelnut, cocoa, butter, caramel, cardamom, nuts, and cedar. Philz has a very particular method of grinding, pouring water, and brewing that ensures that every cup has a strong, consistent flavor. My personal favorites are Philtered Soul, Tesora, and Silken Splendor. Mint Mojito is lit. Try the avocado toast or the gluten-free Nutella brownie -- even though you're not gluten-free. You won't regret it. And the best part, which is totally relevant to the coffee, is the DOGS. There are so many dogs that walk by the huge windows, all day, every day. Sometimes, their owners tie them outside while they get their coffees. Word on the street is that if you go outside and pretend to take a call, you can pet them and become friends with them. I don't know, I've definitely never tried that. Ah, this one is a classic. For a cozy, homey feel, TCB is your jam. People sit on cushy couches, on window sills, bar stools, outdoor tables, and more. My personal favorite is the leather chair way in the back. Espresso-based drinks are the way to go here, but pour-over can be very good as well, depending on the pick of the day. My favorite drinks are the Black Eye and the Americano. If you're feeling adventurous, TCB always has some sort of fun specialty drink to try. Staff is super friendly, music is a fabulous oldies mix, and vibes are generally pleasant and relaxed. This is the flagship Dolcezza location, and the best one, in my very biased, Georgetown-resident opinion. Try the alfajores (yes, I was very proud of myself when I learned how to pronounce that) and the ice cream, too. Drink the Cortado or the Macchiato -- basically, you can't go wrong with anything espresso-based here. Iced coffee is wonderfully smooth. The seating is mostly on the second floor, where you have beautiful views of Georgetown, especially amidst Cherry Blossom season (pictured) or fall. This one is small, but if you can get a table, it's one of the best workspaces I can think of. The fact that there aren't many people means that it's a little quieter than other coffee shops, which feeds right into its cozy feel. It's hidden slightly out of the way of DuPont traffic, so it's a good place to focus or take a break. Try the Flat White or the pour-over. The color scheme and the beautiful waterfront-facing, floor-to-ceiling windows that the owner opens up on nice days are enough to keep me coming back here. Go on weekday mornings or early afternoons if you want to sit around and do work, because Malmaison transforms into a brunch hotspot on weekends and a restaurant (with happy hour) on weekday evenings. The latte and the espresso are my drinks of choice, and the foam is somehow always perfectly fluffy. My favorite part here is the food. Because this is a restaurant-turned-popping-bar at night, your options are limitless. I'm a fan of the quiche and the varied, rich desserts, which are made fresh in-house every day -- not something you find often in D.C. coffee shops.